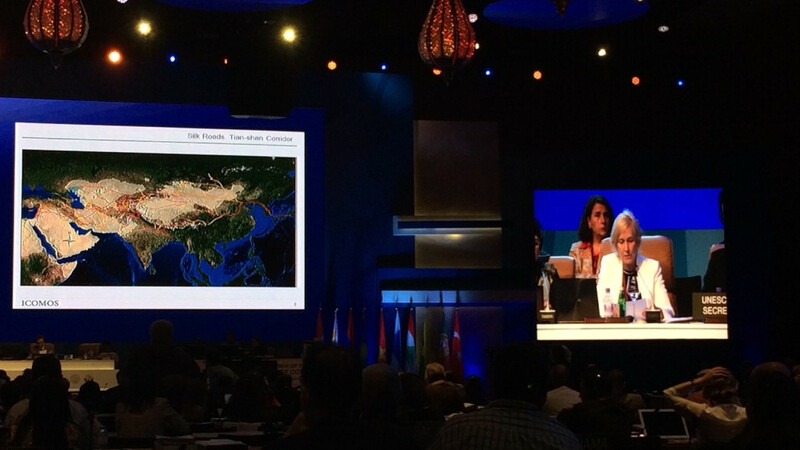 On 22th June 2014, the Grand Canal and Silk Roads:the Route Network of Chang’an -Tianshan Corridor,jionly nominate by China,Kazakhstan,Kyrgyzstan,were approved in the World Heritage List in the 38th world heritage conference.This successful nomination reflect the outstanding universal value, the authenticity and the integrity of the Grand Canal and the Silk Roads, the efforts of Chinese government were recognised by World Heritage Committee. Then, there are 47 sites in China include in World Heritage List, and China ranked second in the world. The World Heritage Committee think the Silk Roadsare routes of integration, exchange anddialogue between East and West that have contributedgreatly to the common prosperity of humankind for almosttwomillennia.“Silk Roads: Initial Section of the Silk Roads, the Routes Network of Tian-shan Corridor”took shape between the 2nd century BC and 1st century AD, flourished between the 6th and 14th century AD13, and lasted until the 16th century. Its distribution involves three present-day countries: People’s Republic of China, Republic of Kazakhstan, Kyrgyz Republic. The Silk Roads facilitated the interchange of religion and faith, science and technology across the Eurasian Continent from the 2nd century BC to the 16th century AD,and played an essential role in the cultural interchanges between the nomadic and settled peoples. a long distance cross regional transportation system was established, linking up multiple civilizations, facilitated a lasting and far reaching exchange activities in trade.it is directly associated with Zhang Qian’s diplomatic mission to the Western Regions, a milestone event in the history of human civilization,reflects the spread of Buddhism, Manichaeism, Zoroastrianism, Zoroastrianism and urban planning in ancient China and Central Asia and other regions. 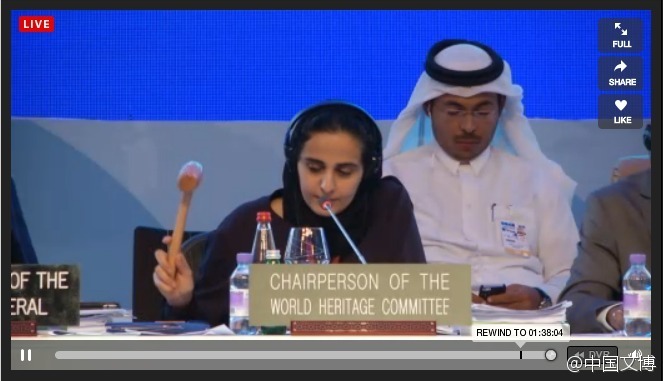 It meet the criteria (ii)、(iii)、(v)、(vi)of the World Heritage. The World Heritage Committee recommended that named it ‘Silk Roads:the Routes Network of Chang‘an-- Tian-shan Corridor’.